You hire a workers’ compensation attorney because you want to receive the maximum amount of compensation for your workplace injuries that you are entitled to under California law. That’s understandable. You need to be able to support yourself and your loved ones while you recover. You need to make sure that the medical bills you incurred in treating your injuries are covered. If you’re injuries are so severe that you can’t return to your old job, you need to make sure that you get the vocational training you need to start a new career. In other words, it’s not about the money. Instead, it’s about the protection that the money provides to you in this vulnerable time. Your attorney is there to protect your interests and see that you get the compensation that you deserve. While he or she will do everything they can to bring your claim to a successful conclusion, they need your help. You see, a successful workers’ compensation claim requires a successful relationship between the attorney and the client. The success of this relationship, like any relationship, requires effort by both parties. This means that you, as a client, can’t afford to be a passive participant in your workers’ compensation claim. You need to take the steps that are necessary to build a successful relationship with your attorney. Here are some of the things that you can do. Your attorney has a duty to be honest with you at all times. However, like a doctor, they are not always the bearer of good news. Their obligation is to give you a frank and candid assessment of your claim and its potential outcome. A good attorney will tell you, to the best of their experience and judgment, what to expect and when it expect it. They will not tell you what you want to hear or sugar coat a potential result. They will tell you what you do need to hear so that you have the best possible information available to plan for your future. That’s their job. It’s what you’re paying them to do. In return, it’s your job is to be completely honest with your attorney. Your attorney will ask you questions about your accident and injury in order to make an assessment of your claim. 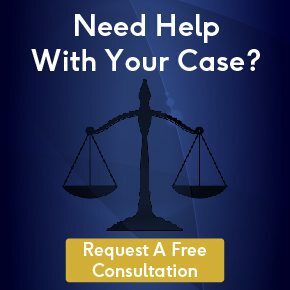 It is vitally important that you answer your attorney’s questions as honestly as you can and to the best of your ability. Withholding information from your attorney or embellishing the facts will only hurt your claim in the long run. This duty to be honest to your attorney lasts throughout your entire relationship. If new facts arise while your claim is being processed, you need to bring them to the attention of your attorney immediately. When you know things about your claim but fail to tell your attorney about them, you hurt no one but yourself. Communication is the basis of all healthy relationships. When people talk to each other, their desires, needs, and expectations are in full view and steps can be taken to see that those needs are met. When people fail to talk to each other, there can be no such positive outcome. When communications fail, people feel marginalized. They begin to develop resentments. They even begin to mistrust the basis of the relationship in question. The relationship with your attorney is no different. A good attorney understands this. They will go out of their way to make sure that you have every piece of information that you need to help you understand your claim and its potential. They realize that unanswered questions can destroy your piece of mind just when you need it most. That’s why they will take the time to answer all of your questions promptly and to the best of their ability. Good communication is a two-way street. This means that you also have an obligation to be completely open with your attorney. Let them know your expectations and needs upfront. Allow them to address those needs. If you don’t understand something or disagree with something that your attorney has said, talk to them about how you feel. It’s only through the process of open communication that a solid relationship can be formed between you and your attorney – a relationship that will contribute to the chances of your claim being successful. A good relationship not only requires communication, it also requires respect. The parties to the relationship have to have a mutually value each other’s time and efforts. Without this common courtesy, the relationship won’t work. Again, what holds true in the wider world also holds true for your relationship with your attorney. Your attorney has a professional responsibility to treat you with respect. This means that they will answer your questions as promptly as possible, return phone calls within a reasonable time and provide you with the information that you require in a timely manner. Sometimes, this is referred to as professional courtesy. You have the same obligation to your attorney that he or she has to you. You need to make sure that you are on time for all appointments. You need to remember your attorney’s advice to you and act accordingly. You need to provide requested information and documents to your attorney as soon as possible. It’s all about respect for yourself, your claim and your attorney who is working hard on your behalf. California’s workers’ compensation system is not a lottery. It’s a way to equitably deal with the problems that arise when a worker is injured on-the-job and is unable to provide for themselves as a result. The law is there to make you whole. It is not there to make you rich. Having unreasonable expectations in regard to your workers’ compensation claim will only serve to hurt the relationship between you and your attorney. Your attorney is required to work within the confines of law when it comes to obtaining compensation for your injuries. They can do no more than what the law allows for and provides. They do not make the laws. They simply use the law to their client’s best advantage. Being realistic about your workers’ compensation claim is essential to its success. Your attorney will do everything that they can to ensure you obtain every benefit that you are entitled to under the law given the circumstances of your claim.